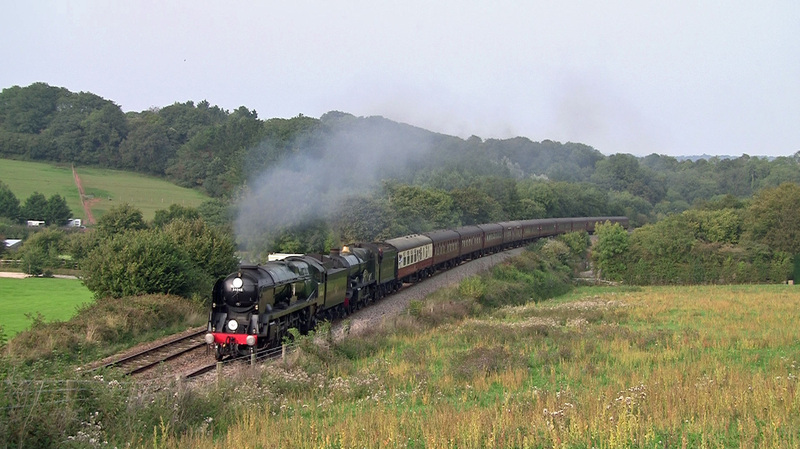 5th and 8th September 2014. 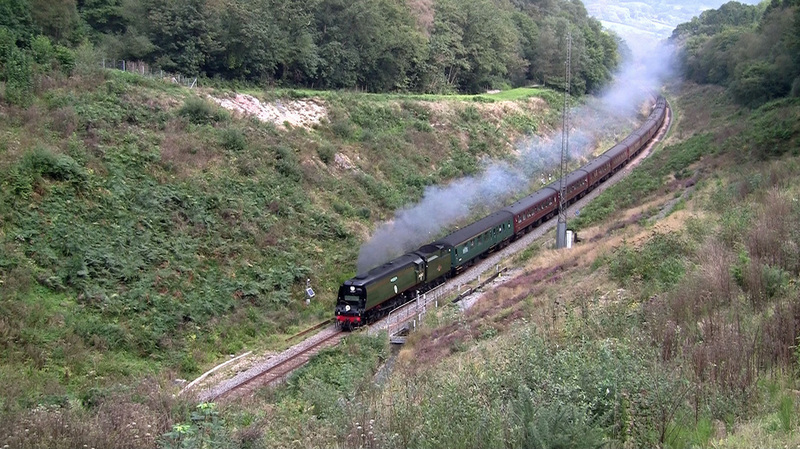 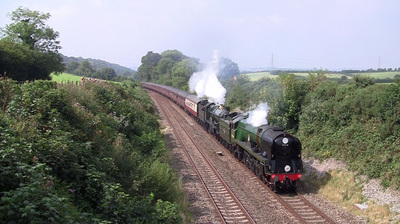 The Atlantic Coast Express, with SR 34046 Braunton, SR 34067 Tangmere and GWR 5029 Nunney Castle. 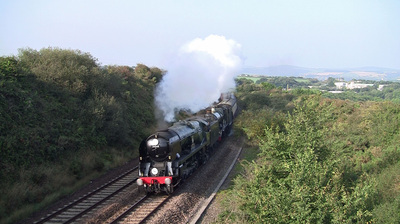 This tour was to mark the 50th anniversary of the last Atlantic Coast Express. As some of the original destination are no longer on the rail map, this anniversary tour ran from London Victoria to Penzance and return.